Every day, in all seasons, thousands of dog owning New Yorkers take advantage of the Offleash Hours in many City parks to meet their neighbors, and recreate with their dogs offleash, which leads to a better socialized canine population that benefits all New Yorkers. Offleash hours in Prospect Park. View a short video clip. The first Saturday of every month, FIDO of Prospect Park holds Coffee Bark. 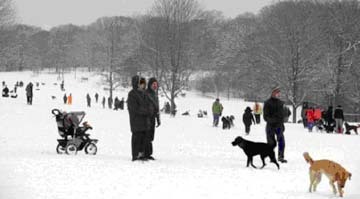 Hundreds of people and their dogs attend before 9am to socialize, exercise, recreate, and enjoy beautiful Prospect Park; Coffee and cake for the owners, biscuits for the dogs. Informational literature to encourage responsible dog ownership and park stewardship is available to all who attend. After 9am, FIDO members ensure the grounds are left cleaner than they found them. 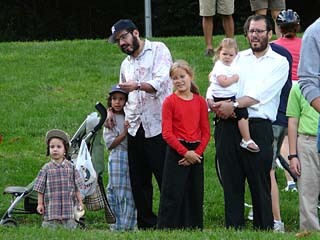 This clip was taken in August 2006. View a longer video clip taken at the October 2006 Coffee Bark sponsored by FIDO in Prospect Park. Responsible dog ownership starts early. Children of all ages cherish Off-leash Hours and take their responsibility as dog owners seriously. This scene is by the The Peninsula, one of the three official Off-leash Hour areas in Prospect Park. For 20 years, a beautiful scene is repeated each day. 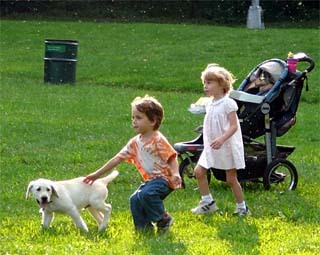 Off-leash Hours bring New Yorkers into the Parks early morning by the thousands. 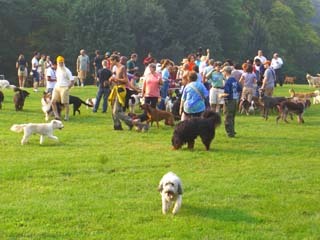 Dog owners and non-dog owners enjoy the scenes of dogs socializing and recreating during Off-leash Hours. On a average weekend, Off-leash Hours brings tens of thousands of people to the parks in all five boroughs to meet their neighbors and recreate with their dogs. 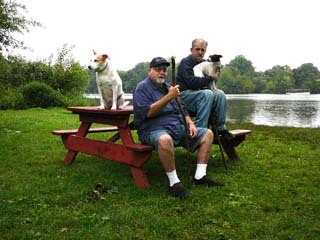 Both people and dogs have benefited from the Off-leash Hours policy for over 20 years. Offleash- Hours brings people into the parks, 365 days a year, in all seasons and all weather, keeping the parks safer for all users. An early morning scene in Central Park. 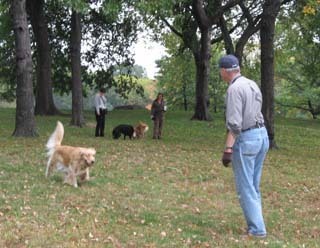 Recreating with one's dog off-leash has been recognized by the NYC Parks Department and many other parks authorities around the country as a legitimate and healthy form of park recreation, with public health benefits for both the dogs and the owners. Non-owners benefit from better socialized dogs by the remarkable drop in dog-related incidents over the years off-leash recreation has gained in popularity. 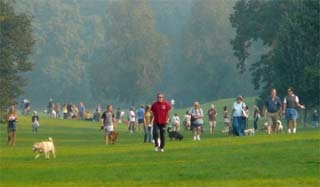 All park users enjoy the benefits of increased park safety partially in thanks to the presence of dog owners early in the morning and late in the evening being vigilant in the park to help prevent crime.